SMART3G gas detectors are employed to detect flammable compounds (%LEL), toxic compounds (ppm) and Oxygen contents for both it depletion and enrichment in classified areas. The Pellisfor sensors employed for the flammable Gas detection show an excellent output linearity up to 100% LEL. 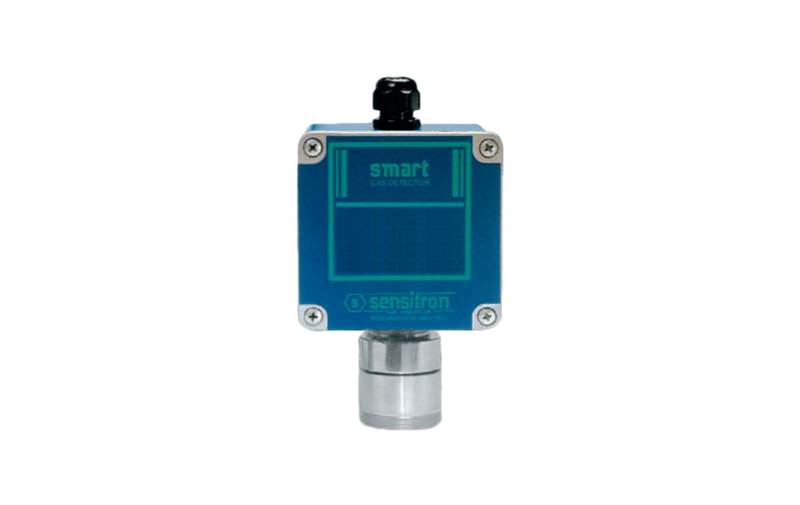 For the toxic gas detection, Sensitron has operated a reliable selection among the most performing elecfrochemical cells to supply units representing the state of the art in toxic gas detection. The SMART3G line has been designed to offer a wide range of alternatives that grant customers the best solution to their requirements. SMART3G-C has been specifically designed to offer high performance products for industrial applications. SMART3G-D have been designed to meet with tougher industrial requirements and offer a 4 digits back-lit display and 5 mode status LEDs for the gas concentration reading. They feature non infrusiwe magnefic calibrafion for an accurate and easy calibration via Hall-effect switches, without opening the instrument and declassifying the area. Specific gas detectors for tunnels and mines are available with certification for Group I M2.